WHAT IS THE IM PROGRAM? IM is a ceremony and academic program. Students engage deeply with the ancestors, the story of their people and their homelands. Taken together, these elements lead students to catalytic, transformative learning experiences. Through profound shifts in ways of knowing and living, students develop the consciousness called for in the indigenous prophecies around the world. This is the remembrance of Indigenous Mind—a consciousness that ushers in life vibrant with renewal through Earth-honoring practices. The Indigenous Mind Program extensively uses both technology and ritual to bring students to the threshold of their own indigenous ancestry, homeland, and cultural wisdom. Traditional ways of knowing help us root ourselves in who we are, and in our responsibilities to future generations. Students bring healing first to themselves, then to their families and their ancestors, and ultimately to the earth. At present, global climate change, environmental crises, and societal concerns have thrust the geo-centered program to the very forefront of forward-thinking curriculum and research. 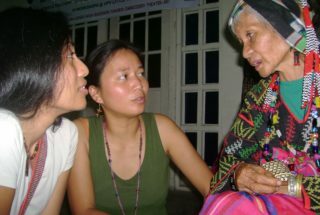 This program has been developed by Dr. Apela Colorado, a pioneer and recognized leader and Elder in the field of Indigenous Mind. The personal integrity and patience for healing a dissociated existence. We do not offer a set of techniques that can simply be appended to an already existing collection. Recovering Indigenous Mind involves an honest examination of the historical process that has split the Western mind. It means grieving the genocidal patterns of colonialism and confronting patterns of internalized oppression. It requires ending one’s personal and cultural addiction to the Western definition of “progress.” It calls for honoring spirits that have been neglected for centuries. It means facing the discomfort of uncertainty–a recognition that our knowledge of community, healing, and nature is incomplete. The Indigenous Mind program is rooted in the wisdom of Indigenous Science and the traditional ways of knowing. Indigenous science is a holistic discipline that draws on human senses and ways of knowing to reveal the balance of all things. Indigenous scientists, Elders and scholars consider nature to be alive and intelligent, interacting with it as an active research partner. They guide students beyond an individualistic sense of self, restoring a sense of their interconnectedness to the web of all being through their indigenous wisdom traditions. We invite students to re-enter a way of thinking and being that supports sustainability and promotes interdependence. We hold that indigenous consciousness can be recovered, even after many generations. Our scholarly, personal process is designed to heal the dissociation that is characteristic of contemporary Western consciousness — a perceived split between body and mind, spirit and matter, human and nature, human and human. Such remembering takes time and requires extensive grounding. The Earth Summit and various UNESCO resolutions have affirmed the validity and global significance of indigenous knowledge, but few people understand its depth and application and fewer still are trained in indigenous science. Earth-based indigenous knowledge and ways of life are disappearing rapidly, yet most Western thinkers do not grasp the scientific richness of this knowledge nor the meaning of its loss. This program helps students to shift their basic assumptions and perceptions to embrace indigenous knowledge–to stand in the mindset of one’s tribal ancestors and to keep hold of that vantage point in today’s time. For Native people who live within their tribal culture on the ancestral lands of their people, we offer an opportunity to strengthen those connections and discern new global applications of their traditional knowledge. For students who have grown up steeped in the modern world, the Indigenous Mind program inspires a new way of seeing and being in the world, rooted in the recovery of one’s origins and tribal wisdom. We invite people who seek to recover an authentic indigenous mind and life. 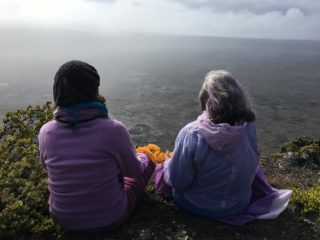 The program is for those who see the importance of preserving and passing on traditional worldviews, and for those who long to recover and re-establish the lifeways and values of their indigenous ancestors–lifeways that teach responsibility for reversing the destruction of the planet.